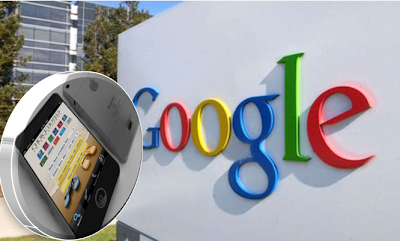 LOS ANGELES - Google Inc. is under fire once again after allegations that it circumvented privacy protections built into the iPhone in order to track what users are doing online. A privacy researcher at Stanford University said Friday that the Internet search giant had made an end run around a privacy feature in Apple Inc.’s Safari browser, the default Web-surfing software for tens of millions of iPhone, iPad and Macintosh users. Graduate student Jonathan Mayer’s report could deal a serious blow to Google, which in October reached a settlement with federal regulators who had alleged that in the company’s 2010 attempt at social networking it used "deceptive tactics and violated its own privacy promises to consumers." Google’s binding agreement with the Federal Trade Commission "bars the company from future privacy misrepresentations." "Google’s practices could have a wide sweeping impact because Safari is a major Web browser used by millions of Americans," Reps. Edward J. Markey, D-Mass., Joe Barton, R-Texas, and Cliff Stearns, R-Fla., wrote in a letter to the FTC. "We are interested in any actions the FTC has taken or plans to take to investigate whether Google has violated the terms of its consent agreement." If Google is found to have violated its agreement with the FTC, the company could face fines of up to $16,000 per day for each violation. Google’s latest privacy stumble came at the end of a bumpy week for the tech industry’s best-known companies, with Apple, Twitter, Facebook and Path drawing criticism over the way the social media companies collect user address data from iPhones. Federal lawmakers are also questioning Apple after several social networking companies acknowledged that they were retrieving smartphone users’ contacts without explicit permission. Apple’s Safari browser is designed to prevent websites from adding tracking files - called "cookies" - to phones until a user specifically visits the site. For instance, visitors to the Los Angeles Times’ website could find a Times cookie on their iPhones but should not automatically have cookies from the sites of Times advertising partners. But Mayer, the Stanford researcher, said Google used a method that could load users’ phones with cookies from advertising sites other than Google. Google spokeswoman Christine Chen said the company did not intentionally place advertising cookies on Safari users’ devices. "We didn’t anticipate that this would happen, and we have now started removing these advertising cookies from Safari browsers," she said. "It’s important to stress that, just as on other browsers, these advertising cookies do not collect personal information." Chen declined to comment on whether the issue might mean a violation of Google’s FTC settlement. Privacy advocates criticized Google for what they viewed as a serious misstep, which they said was inexcusable for a company with its resources and technical know-how. "Why were they in such a rush to push this product out that they didn’t get it properly vetted?" said Justin Brookman, the privacy director at the Center for Democracy and Technology. "They have this brand that they should be bending over backward to protect," he said, but "they may be cutting corners."